Show your support and spread the word about Tourette Syndrome to all your friends and family by wearing some of our fantastic Tourettes Action merchandise. Our TA merchandise make great presents or order some for yourself to show your support. Add items to your shopping basket and then follow the links to pay through our secure PayPal system. Tourettes Action are included in the PayPal Mobile App, so you can download it to make quicker tranactions. We aim to dispatch all merchandise ordered within seven working days. We are sorry, but we are only able to to dispatch orders to the United Kingdom. 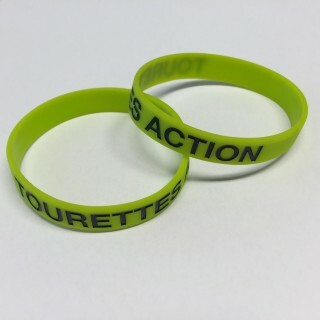 Show your support and get people talking about Tourette Syndrome by wearing a Tourettes Action lime green silicone wristband, featuring the words 'TOURETTES ACTION'. The bands are just £1 each (minimum purchase of 5) plus postage and packaging of £1. Show your support with a stylish Tourettes Action pen. Ideal for work and school, they write in black ink. Pens are just £1 each plus £1 postage and packaging. 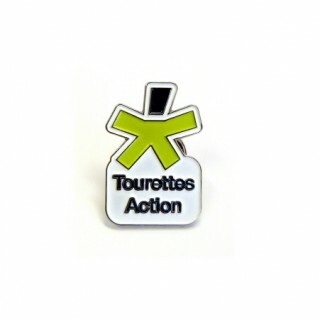 Show your support and wear a Tourettes Action pin badge. These badges are approximately 2cm tall and attach with a traditional butterfly fastener. A great way to spread awareness of TS. Pin badges are just £1 each plus £1 postage and packaging. 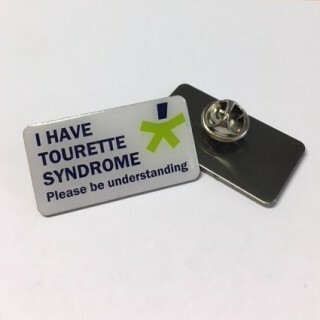 A discreet awareness lapel badge for those who wish to let people know they have TS. Size 3.5 x 2cm, with a butterfly fastener. Badges cost £1.50 each plus £1 postage and packaging. Show your support for Tourettes Action by wearing one of our 100% cotton, green Tourettes Action T-shirts at £10.00 each, plus postage and packaging of £1.50. The images above are of the back and front of the T-shirt. 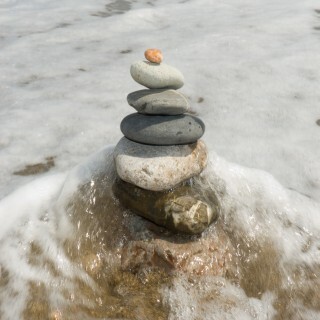 Specifically designed to help tolerate the urge to tic, reduce stress and manage tics. Available with or without music, each download costs 99p and all proceeds go to TA. A link will be emailed to you within 2 working days.